THIRUVANANTHAPURAM, KERALA: India is all set to script history by launching a record number of 22 satellites, including a number of micro and nano ones from foreign countries, in a single mission in May this year. 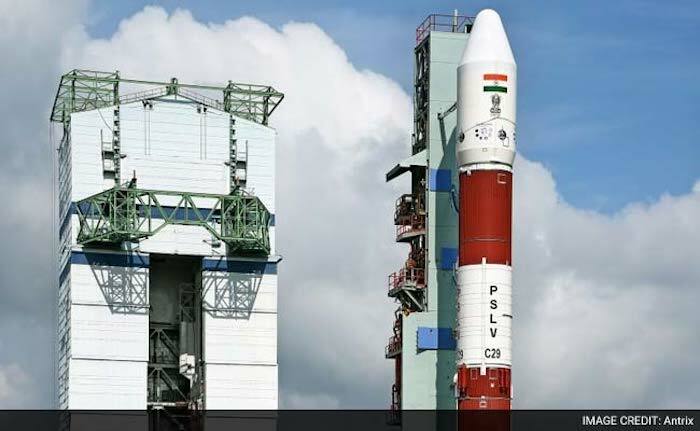 Indian Space Research Organisation (ISRO)'s workhorse Polar rocket PSLV C34 carrying India's Cartosat 2C would also have 21 other satellites from countries, including US, Canada, Indonesia and Germany as co-passengers, a senior ISRO official said on Monday. "We are planning to launch as many as 22 satellites on board PSLV C34. We had earlier sent 10 satellites on a single mission. Now, we are planning more than double.We hope that the launch will be in May," ISRO's Vikram Sarabhai Space Centre (VSSC) Director K Sivan told reporters. The launch would be made from the Satish Dhawan Space Centre in the spaceport of Sriharikota, 100 kilometers from Chennai. NASA had sent 29 satellites to the orbit in a single launch in 2013, setting a world record. The upcoming ISRO mission would carry LAPAN A3 of Indonesia, BIROS of Germany, SKYSAT GEN 2-1 of US, MVV of Germany among the micro satellites, ISRO sources said.